Refugees line up for clean drinking water at the Breidjing Refugee Camp in eastern Chad. The arrival of an Oxfam water truck at the camp is an instant call for everyone to show up with a camp-supplied container. 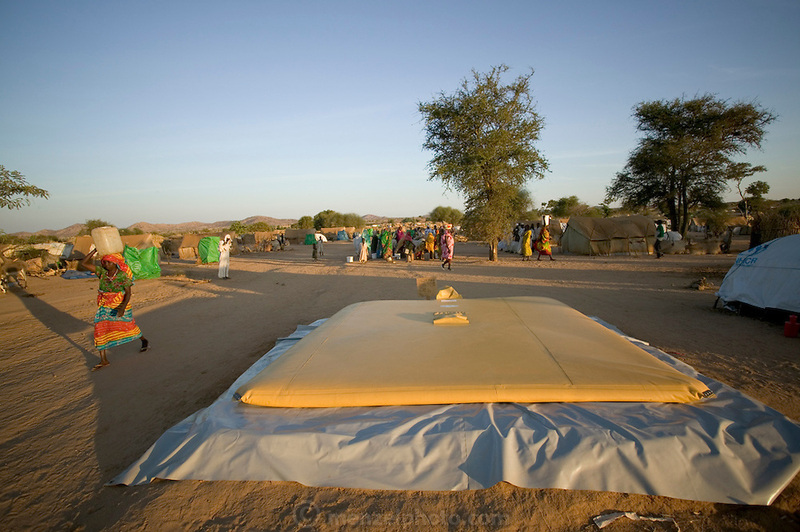 The trucks fill yellow waterbed-like bladders, which rest on low platforms. The water flows through buried pipes to watering centers, where half a dozen people can fill up at once without wasting any precious liquid.